Take advantage of new age digital technologies and engineering concepts to build successful products in the face of changing product engineering and R&D mechanisms. Discover how our Mechanical Design and Simulation solutions provide the advantage of global engineering today. Right to Market: Build the right product with the engineered quality levels for the respective global markets and understand the cost to value requirements. Speed to Market: Get the product to the market before the competition and respond to changing requirements in the process. Companies need to know how to integrate digital technologies in their engineering processes to develop better performing products for today’s connected world. 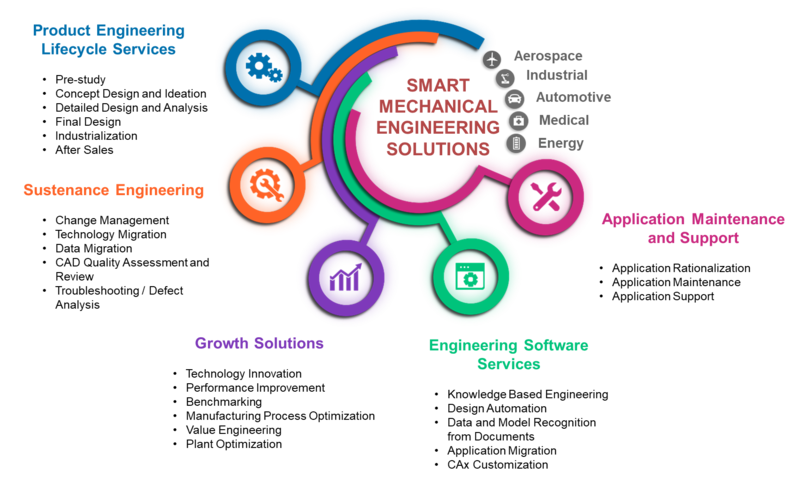 Our Mechanical Design and Simulation solutions cover the engineering lifecycle, from concept design through to prototyping and cover all enabling technology and software requirements as well. With Capgemini, you can build high performance engineering teams through the use of integrated digital technologies. As one of the world’s leading engineering services provider we know the importance of predictability in engineering and bring a continuous improvement mechanism to ensure first time right delivery. Our flexible engagement models are aligned to the customer’s global engineering strategy. Capgemini’s Rightshore®approach brings the advantage of our global presence for an optimal mix of onshore and offshore engineering talent. To learn how our Mechanical Design and Simulation solutions can help you innovate faster and achieve more value for your R&D budget, contact our experts today.